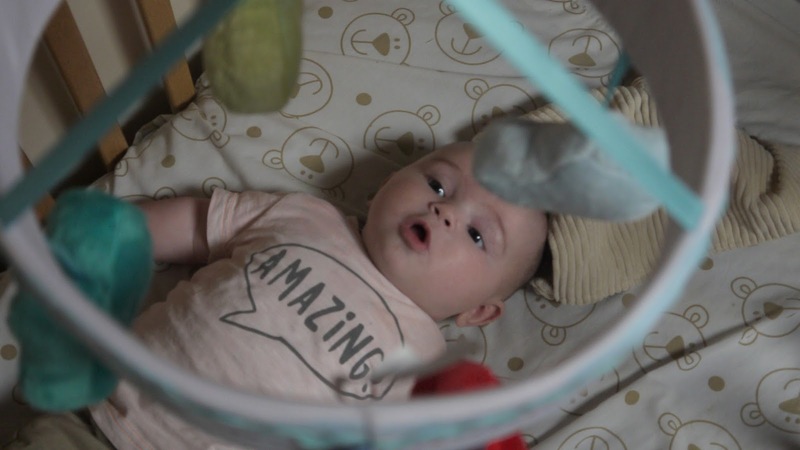 Hello lovelies I was very kindly given this gorgeous mobile to review for you all, it's absolutely beautiful and Lawson fell in love with it as soon as I fixed it to his cot, which was very simple! I hate fiddly fixtures and this was as easy as ABC, it all clicked in together then just attached to the side of the cot with a spinning wheel fixture so anyone can do it. Pleasant lullaby style music while it spins around above baby's head, it doesn't last a long while though so you have to keep twisting it for the song but if your lucky like me and your baby doesn't need much to be settled for the night your fine. He loves going in this in the day time though and watching all the cute soft transport go around him, as you can see by his face he's like oooh. My other son Oscar loved watching it too whilst he's lay on his bed next to him. It's ever so soft, beautiful bright colours and perfect for your cot and travel friendly if your going away for a weekend or fancied taking it on holiday. It has a lot of blue in it but you could easily get away with using this in a girls and boys bedroom who doesn't like cars, boats and aeroplanes? They also sell a really cute gro bag that matches this mobile, which is what I'm looking into next as its getting quite nippy in the early mornings and at night now I think and Lawson is terrible for kicking his quilt off! 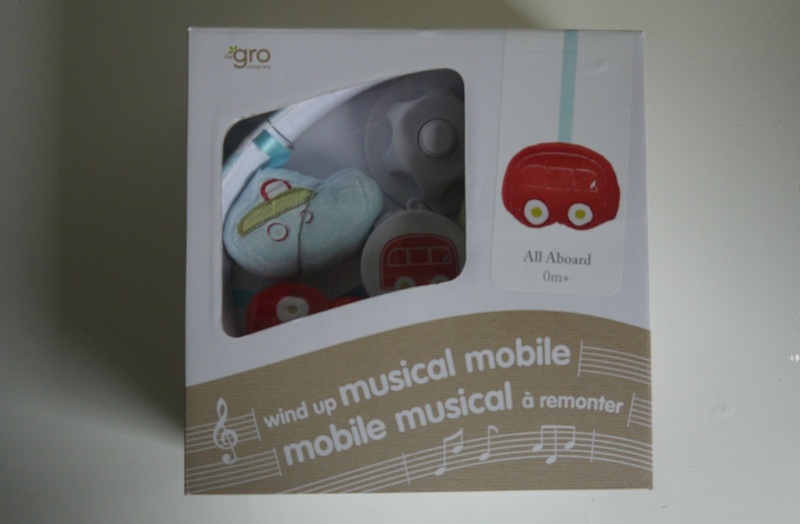 I would highly recommend checking out the Gro Company's mobiles they come in lovely designs fit for a prince or princess. 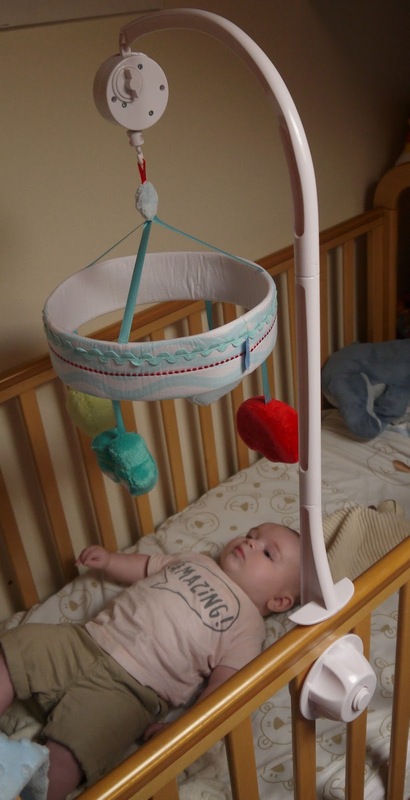 Has your little man or girl got a mobile above their head?